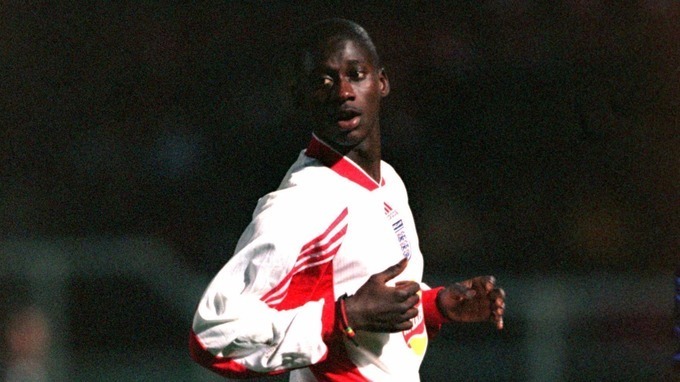 Thousands of stories can be told of Cherno Samba leading a team to success on Championship Manager, but accounting for his own extraordinary career will make a lasting mark, too. As a teenager, Millwall forward Samba was one of the hottest properties in the country thanks to his prolific goal record. His scoring exploits attracted interest from the majority of the Premier League’s top clubs. 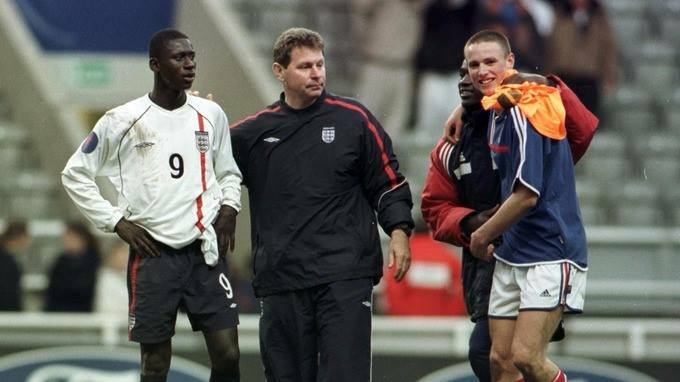 Realising that football was a business and not just the game he grew up loving was a steep learning curve for the England youth international. The six-month exile was tough on Samba as he struggled to maintain his early enjoyment of the sport. Samba, whose autobiography is out later this year, reconciled with Millwall but would never play first-team football for the club after signing a three-year deal with them. In order to regain his passion for the sport, Samba headed to Spain where he signed for Cadiz in Andalucia. 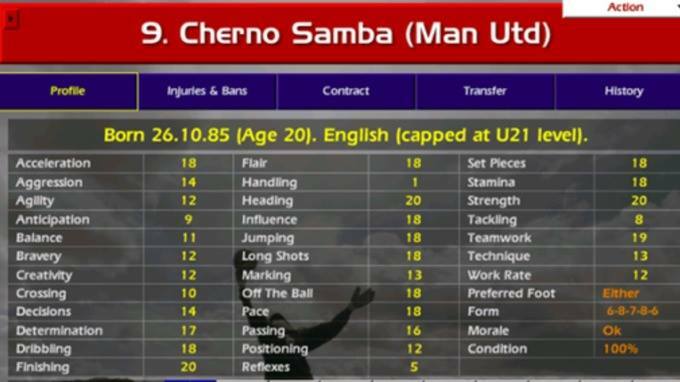 Despite his early fears, the move would bring Samba back to the game he grew up loving. 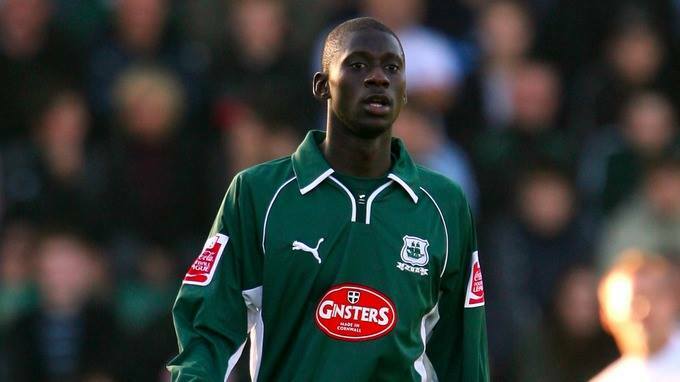 The only experience of first-team football Samba had in England was with Plymouth Argyle – including a loan spell at Wrexham – under the management of Ian Holloway. Eventually Samba departed Home Park in order to find more playing time. Once again it would be abroad, as the maturing striker joined Finnish side FC Haka, feeling the style would suit him better. 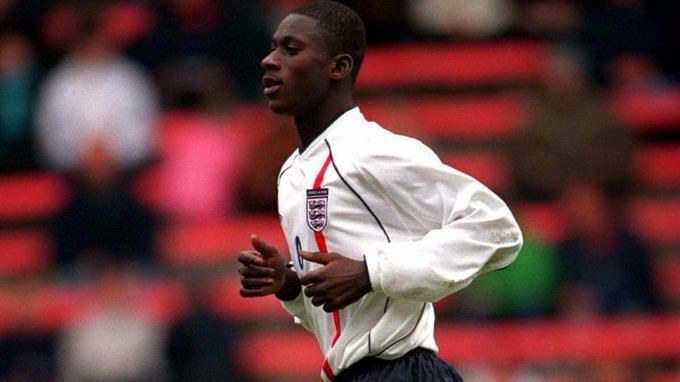 While he was there, Samba also earned four caps for Gambia, realising his dream of becoming a full international. “It was a personal thing and it was better for my style, as when I was growing up my strength was coming to pick up the ball deep, turn and attack defenders,” Samba says of his choice. “I was explosive and very skilful, so the continental football suited me more and they were allowing me to do that more often. Spells in Greece and Norway followed as Samba’s body started to fail him, forcing him to retire early aged just 29. The striker spent a long time trying to find a club, going from one trial to another, something that didn’t help his longevity. It’s been an eclectic career for the man more famed for his attributes on a computer game than anything he’s achieved on the pitch. Samba knows circumstances went against him, but also accepts part of the blame by conceding that his natural ability didn’t require hard work to make him a top class player. “A lot has gone on in my career,” he explains. “I wouldn’t put all the blame on what’s happened with other people or other clubs. I put blame on myself because I didn’t give 100 per cent, as I was superior to everyone else. I was better than everyone in my age group, so I didn’t want to try hard enough to get a little bit more out of myself and that caught up with me in the latter part of my career. Having taken in five countries, international football and more highs and lows than most could cope with in a lifetime, Samba feels his experiences will make him an invaluable coach, especially to youngsters who could fall into the same traps he did. Samba has recently completed his UEFA B-Licence and plans to start his A-Licence later this year. “Mentally I am very strong because a lot of players come to me – I am talking about very big figures in the game – who say to me that if all the things that have happened to me in my career had happened to other people, they would have faded away from the game,” Samba reveals. “You wouldn’t have heard from them again. “Because of my faith I have that strong mentality and because of what I’ve experienced it will definitely help me. I’ve got great people behind me, including Ian Seddon who has been working with me for the past three years and put me in very good stead. Samba is determined to make a name for himself as a coach, a choice all the more poetic given his fame on Championship Manager – something that has lived with him longer than his professional career lasted. His name brings a wry smile to the face of thousands of players of the game and creates plenty more stories to go with it. Now Samba is working alongside The Set Pieces in relation to their Football Manager competition. 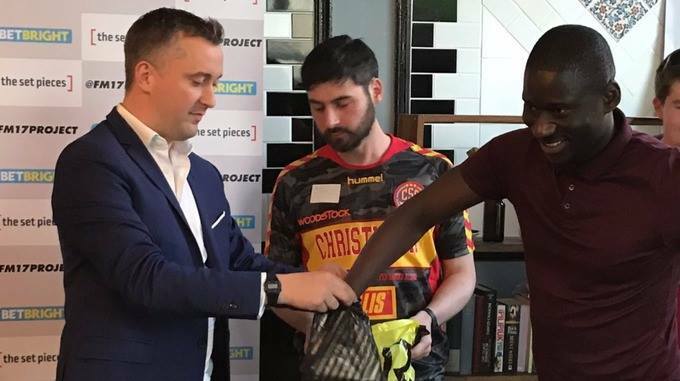 Attending the event in London, Samba was given a small reminder of his hero status on the game as fans chanted his name while he made the draw for the competition. He’s used to the attention when it comes to the virtual world. “When I was at Millwall, about 13 or 14, some of my mates came up to me and asked if I knew about this game,” he says. They said, ‘You are amazing on it’ and then I looked it up, bought the game and started playing it. I was just thinking, “This is so weird” but it is something unbelievable; the way they made me in that game is incredible. “I play Football Manager to this day and I‘m doing media work around it and I love it. I am really grateful and it’s great to work with Football Manager. To the wider world, Samba will always be defined by his computerised alter-ego, and he accepts that is a key part of who he is now. But there is no doubt that his future reality will be moulded by his own endeavor, not by his legend.